A Library Card Can Take You Places! There are many different cards that you have in your wallet—credit cards, insurance cards, gift cards…but do you have a library card? This September, the Waukee Public Library joins libraries across the U.S. in celebrating National Library Card Sign-Up Month. If you don’t have a library card, now is the perfect time to get one! Signing up for a library card is easy – and best of all, it’s free! THURSDAY, SEPTEMBER 6 | 4:30 p.m. Kids in grades K-5 are invited to hear a story about a STEM (science, technology, engineering and math) topic followed by a related experiment. Registration required and will open 3 weeks prior to the event. FRIDAY, SEPTEMBER 7 | 11:00 a.m.
Presenter Ron & Molly Anderson of Howes & Anderson, P. C.
No time to attend an evening or weekend program? Try our new Lunch & Learn series! Bring your brown bag lunch and we’ll provide the dessert! Stick around afterwards for Waukee Parks & Recreation’s bingo at 1pm. 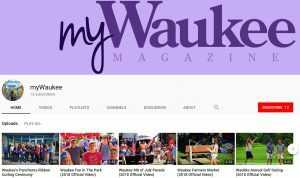 This program is brought to you in partnership with Waukee Parks & Recreation. Estate planning is important for everyone. Anyone who has assets, no matter how small, or wants their medical wishes carried out should have an estate plan. Come learn the ins-and-outs of putting a well thought out estate plan in place, and with peace of mind get back to the business of living and enjoying your life. SATURDAY, SEPTEMBER 15 | 1:30 p.m. Some people may believe that there is nothing cuter than a terrarium, but they are sadly mistaken! Handmade felt terrariums are even more adorable and so easy to make. Perfect for plant-killers and others who prefer low maintenance flora, after this class you’ll never water again! No felting experience needed. Registration required. This craft is intended for Adults. Registration begins 3 weeks before the event. SUNDAY, SEPTEMBER 16 | 1:00 p.m.
Iowa State University archivist, Bradley Kuennen, will present about the life and legacy of Jack Trice, as well as, the history of the football program at Iowa State University. TUESDAY, SEPTEMBER 18 | 5:00 p.m.
SATURDAY, SEPTEMBER 22 | 10:00 a.m.
Children ages 6-11 years are welcome to bring a towel or yoga mat and enjoy pirate-themed yoga games and instruction. Parents staying in the room for the program should plan to participate as well! Registration is required and will open 3 weeks prior to the event. SUNDAY, SEPTEMBER 23 | 2:00 p.m.
Did you know that Iowa is one of only 5 states that has no designated Wilderness areas? Dallas County Conservation Board (DCCB) naturalist, Chris Adkins, will examine what wilderness is, why we need it, and how wilderness areas are designated, managed and protected. Naturalist Adkins has led treks to the Selway-Bitterroot Wilderness of north-central Idaho for the past 25 years. Attendees will get to view images and learn about the logistics of backcountry travel and about DCCB’s upcoming Summer 2019 trek. TUESDAY, SEPTEMBER 25 | 6:00 p.m. Your family has a story to tell! Come learn the basics to begin your journey of discovery for your ancestral history. Theresa Liewer, from the Iowa Genealogical Society, will give you a road map for researching your family’s history, talk about what tools and resources are available, and discuss what to do if you run into an information brick wall. SATURDAY, SEPTEMBER 29 | 1:00 p.m. This program will take place at The Coffeesmith (770 Alice’s Road, Waukee, IA). Celebrate National Coffee Day with us at The Coffeesmith! Nate Kempers, barista and owner of The Coffeesmith, will teach attendees all the coffee basics you need to know to make that perfect cup of joe. Various brewing techniques will be demonstrated and samples will be served! SUNDAY, SEPTEMBER 30 | 1:00 p.m. This program provides a time portal back to the early days of the state when it was filled with strange deaths, ghosts, sea serpents, peculiar people, medical anomalies, oddities, psychic phenomena, and UFOs! Showcasing over 100 bizarre newspaper stories from Iowa that have not been seen in over 100 years, presenter Chad Lewis will change the way you view the good ol’ days of Iowa. Youth entering grades 1-5 in the fall are invited to enjoy science, technology, engineering, art and math activities with music. Registration is required and will open 3 weeks prior to the event. THURSDAY, OCTOBER 4 | 4:30 p.m.
FRIDAY, OCTOBER 5 | 11:00 a.m. 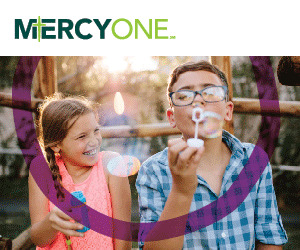 Whether you’ve had your DNA tested or are thinking about it, this program will give insight into the different test services available, the process, and the usefulness of DNA Testing as a tool to learn more about your health, traits, and ancestry. SUNDAY, OCTOBER 7 | 1:00 p.m.
TUESDAY, OCTOBER 9 | 6:00 p.m.
Is there a better way to get ready for Halloween than by watching a monster movie? We don’t think so! Join us for two special Halloween movie nights…if you dare. Movies are free and spooky treats will be available. No registration is required. SATURDAY, OCTOBER 13 | 1:00 p.m.
Love puppies? Pawesome! Come hangout with fellow doggo enthusiasts for an afternoon of barking-good fun. Play a canine trivia game and make cute dog crafts. And the best part? There will be puppies! The AHeinz57 Pet Rescue is joining us for a presentation, bringing along some of their adoptable canine friends for a meet-and-greet. This is an Adult event, however children and teens in 3rd grade and up are welcome but must be accompanied by a guardian. Registration required and will open 3 weeks before the event. THURSDAY, OCTOBER 18 | 10:00 a.m. This short training session by the State of Iowa-Information Security Officer, Alison Radl, will cover the basics of cyber security with tips and techniques for more secure browsing. Come ready to learn and ask questions! SUNDAY, OCTOBER 21 | 1:00 p.m. In 1692 more than 200 people were accused of witchcraft in Salem, Massachusetts and 20 were executed. Why? What happened to create such hysteria? Were the accusers possessed? Experiencing delusions caused by eating spoiled grain? Come discover the real story behind the behind the Salem Witch Trials at this fascinating presentation by historian Kathy Wilson. This event is sponsored by the Waukee Public Library Friends Foundation. TUESDAY, OCTOBER 23 | 6:00 p.m.
FRIDAY, OCTOBER 26 | 7:00 p.m.
All ages of Harry Potter fans should attend this enchanted evening. There will be live magical creatures from the Blank Park Zoo and many other beastly and magical activities. The first 100 guests will receive a free magic wand pen. All guests will have the chance to enter a drawing for two free tickets to the Harry Potter and the Chamber of Secrets in Concert with the Des Moines Symphony at the Des Moines Civic Center on January 25 & 26, 2019. No registration required. SATURDAY, OCTOBER 27 | 9:15 a.m. | 10:00 a.m. | 10:45 a.m. Teams of 6 will be magically sealed in a room at the library. Teams will need to work together to solve clues about J.K. Rowling’s magical world in order to break the spell and exit the room. Recommended for fans of Harry Potter and Fantastic Beasts. Teens (grades 6+) and adults are welcome to participate in this event. (These will be the same puzzles as the November 7 teen program.) Registration is required. SATURDAY, OCTOBER 27 | 2:00 p.m. Adults need crafty time too! Get together with your friends and neighbors to have some crafty fun creating one fun and easy craft. All supplies will be provided by the library. Registration opens 3 weeks before the event date. The Waukee Public Library is kicking off the new year by offering a variety of new and exciting programs and classes for all ages! Stop by the library or visit our website for a full list of upcoming events. Our popular year-long Local History Series is back for 2018! In partnership with the Waukee Area Historical Society, the Waukee Public Library will be offering nine unique history presentations. All programs will be at the Waukee Public Library. Sunday, Feb. 4 – 1:00 p.m.
Sunday, Mar. 25 – 1:00 p.m.
Sunday, Apr. 8 – 1:00 p.m.
Sunday, May 6 – 1:00 p.m.
Sunday, Aug. 5 – 1:00 p.m.
Sunday, Sept. 9 – 1:00 p.m.
Sunday, Oct. 7 – 1:00 p.m.
Sunday, Nov. 11 – 1:00 p.m.
Drop by the library to make a Valentine’s Card for residents of an area senior living center. Help us make enough cards so that each resident receives a one-of-a-kind handmade card to show that their community loves them. All supplies will be provided. Thursday, Jan. 4 – 2:30 p.m.
Sunday, Jan. 14 – 1:00 p.m.
Are you looking for a new and exciting way to connect with nature? Come learn the basics to identifying birds. Dallas County Board naturalist Mike Havlik will guide you through field marks, behavior and calls to help take the mystery out of backyard birds. We will also take a trip outdoors to look for live birds at the library. Tuesday, Jan. 16 – 6:00 P.M.
Meet at Mickey’s Irish Pub (50 SE Laurel Street) on the third Tuesday of every month for food, drinks and a discussion of that month’s book. Copies of the discussion book may be picked up at the library’s front desk or at Mickey’s during the meeting. Friday, JAN. 19 – 10:00 a.m.
Take time to breathe, move, stretch and relax in this beginners’ yoga class. This class is scheduled on the same day and time as our Snow Much Yoga Fun kids’ event with parents’ needs in mind! (However, any adult may attend.) Bring a yoga mat and water bottle. Registration is required and will open three weeks before the event. Saturday, Jan. 27 – 2:00 p.m. Adults need crafty time, too! Get together with your friends and neighbors to have some crafty fun creating one craft. All supplies will be provided by the library. Registration is required and will open three weeks before the event. Thursday, Feb. 1 – 2:30 p.m.
Thursday, Feb. 1 – 6:00 p.m.
No matter what you’re planning for Valentine’s Day this year, nothing says “I love you” like delicious and decadent desserts. We’ve rounded up three sweet treats that will make your heart melt! Whether you’re single or taken, enjoy these easy-to-make desserts with your sweetheart or pals this Valentine’s Day. Samples will be served! Registration is required and will open three weeks before the event. Sunday, Feb. 11 – 1:30 p.m. Discover the pure magic of needle-felting! In this beginner’s class, we will make a sweet little penguin holding a heart. You won’t believe how easy felting really is–no sewing or patterns involved! No prior experience required. Registration is required and will open three weeks before the event. Tuesday, Feb. 20 – 6:00 P.M.
Saturday, Feb. 24 – 2:00 p.m.
Friday, Jan. 5 from 10:00 -11:00 a.m.
Stay as little or as long as you wish to explore different interactive sensory stations each month with your child. Recommended for ages 3 years and up. Saturday, Jan. 6 – 10:00 a.m.
Young Padawans (K-5th grade) are challenged to attend a Jedi Training Session at the library. Construct your own droid, take down Storm Troopers, make Jabba slime, meet R2D2 and more! A light snack will be provided. Registration is required and will open three weeks before the event. Friday, Jan. 12 -10:00 a.m.
Children of all ages are invited to Critter Cindy from Dallas County Conservation for stories and activities to learn more about the natural world around us. No registration required. Saturday, Jan. 13 from 10:00 -11:30 a.m.
Children of all ages are welcome to join teen volunteers to play with the library’s LEGOs and complete optional engineering challenges. No registration required. Saturday, Jan. 13 – 9:30 a.m.
Friday, Jan. 19 from 10:00 – 10:40 a.m.
Join best-selling local author Sara J. Weis of “Go Go Yoga for Kids: the Complete Guide of Using Yoga with Kids” for a fun and engaging yoga class for 3-6 year olds. We will have fun celebrating the winter season with yoga poses, games, stories and snowballs. Bring a beach towel or yoga mat. *There is an adult yoga class for adult caregivers paired at the same time as this event. Registration is required and will open three weeks before the event. Thursday, Jan. 25 – 4:30 p.m. Kids in grades K-5 are invited to hear a story about a STEM (science, technology, engineering and math) topic followed by a related experiment. Registration is required and will open three weeks before the event. Friday, Feb. 2 from 10:00 -11:00 a.m.
Saturday, Feb. 3 – 10:00 a.m. & 1:30 p.m.
Students in K-5 are welcome to design their own boxes for upcoming Valentine’s Day parties. All boxes and decorating supplies are provided. Registration is required and will open three weeks before the event. Friday, Feb. 9 -10:00 a.m.
Saturday, Feb. 10 from 10:00 -11:30 a.m.
Saturday, Feb. 10 – 9:30 a.m.
Saturday, Feb. 24 – 10:00 a.m. Families with children in grades K+ are invited to a morning of exploring Science, Technology, Engineering, Art and Math (STEAM) at the library. A generous donation has been made in memory of Dr. Mayank K. Kothari to increase the number of kits in our STEAM Library. Hear a presentation about the new STEAM kits followed by the opportunity to see each kit in action. Kits will be available for check-out the Monday after the event. No registration required. To find out more about the Waukee Public Library, visit www.waukeepubliclibrary.org or contact the us at askme@waukee.org or (515) 978-7944. Wi-Fi Hotspots & S.T.E.A.M. Kits Available for Checkout! The Waukee Public Library is very excited to announce that you can now check out fun new items from the library! Library patrons can now borrow the internet! We are excited to bring free, unlimited high-speed internet access to our library patrons through the use of Wi-Fi hotspots that can be checked out like a library book. The portable hotspots allow patrons to easily get online using any Wi-Fi enabled device such as a phone, tablet or laptop. Perfect for use at home, in a park, or while on vacation. Hotspots can be checked out for one week and can be renewed if there are no other patrons on hold for the device. Our new STEAM Kit Cabinet is here! The STEAM Kits are designed to enhance and promote learning in the areas of science, technology, engineering, art and math. These kits include a telescope, coding kits, musical instruments, a science lab and much more! The kits are appropriate for a wide range of ages and can be checked out for three weeks and renewed if no one is waiting for the item. Each kit consists of instructions, resources and tools to help you conduct experiments at home. To find out more about the Waukee Public Library visit waukeepubliclibrary.org or contact us at askme@waukee.org or (515) 978-7944. Families with children ages 0-5 are invited to enjoy 20-25 minutes of fun songs and stories with one of our youth services librarians. Explore the celebrated, forgotten and sometimes shocking history of Dallas County. Darcy will offer her top tips on how to start sharing your family history and preserve precious family photographs. Watch a movie on the library’s big screen. All movies are free and refreshments are available. What was life like downstairs at places like Highclere Castle? Could the chauffeur really marry the daughter of an Earl? Would a maid help move a dead body to protect her mistress’ reputation? Get the answers to these and other questions about one of the country’s most popular television series, and discover what life was really like for the people working downstairs. Professional historian and educator Kathy Wilson of Historical Perspectives will present the program. Stick around for tea and cookies afterwards! No registration required. 10:00 – 11:00 a.m. & 1:30 – 2:30 p.m.
Join us for a be-bopping dance party and fun activities with Elephant and Piggie to kick off the Winter Reading Program! Not only is our Sock Hop a dance and reading celebration, but we will also be collecting unopened packages of socks for the Waukee Community Closet for local families in need. All sizes of socks are welcome. Registration is required for this event. Let your creative juices flow and make some fun holiday crafts. Recommended for students in grades K-5. Parents of younger students are encouraged to remain in the program to assist as needed. Our annual program has become so popular that registration is now required for this event and will open three weeks before the event at waukeelibrary.eventbrite.com. Do you want to enjoy holiday food, but also want to eat healthy? Fareway dietician Caitlyn Ferin will share ideas and recipes to use at your next holiday celebration or other special event. Samples will be served, so come hungry! Registration opens three weeks before the event at waukeelibrary.eventbrite.com. Students in grades 2-5 are invited to bring a parent or caregiver to participate with them in this international program. We will try out the new program offered by code.org as part of the annual Hour of Code. The class size will be limited to the number of computers available. You are also welcome to bring your own laptop to participate in this event. Registration is required and will open three weeks before the event at waukeelibrary.eventbrite.com. Families are invited to attend a special Storytime with Santa! There will be a few songs and stories followed by a simple craft. Kids are welcome to come in pajamas. Registration is required for this event at waukeelibrary.eventbrite.com. The Waukee Public Library teems with summertime activities. From our popular summer reading program to our special events and guests, there’s always something for everyone. This year was no different. The summer reading program helps children retain their reading skills even when school’s not in session. This year’s program drew a record number of participants. Over 2,300 people of all ages took part in the summer reading challenge, which gives kids the opportunity to win prizes for reading. That’s up from 2,000 last year—an increase of 13 percent. The library gave out 2,000 books for kids to add to their home libraries, as well as hundreds of other prizes. Each special event this summer centered around the summer reading theme, “Build a Better World.” Science, technology, engineering and math were at the core of the events, which included everything from “Greek Mythology Star Lab” to “Bee Bots Coding,” an introduction to robot coding for kindergarten through second graders. Other successful events included Friday morning programs, which featured the Science Center, Blank Park Zoo, Jester Puppets, a magic show, stories in the park, and an Iowa favorite—butter carving. The library ended the summer with a solar eclipse viewing program on August 21. Overall, over 4,000 people attended these programs. That is a 33 percent increase from 3,000 attendees last summer. The Summer Reading Program was sponsored by the Waukee Fareway as part of a generous partnership. The library has also introduced its Wandering Library, a fully functional library on wheels that allows you to check out books and sign up for library cards. It’s also a Wi-Fi hotspot and even carries sidewalk chalk, crafts and bubbles. The Wandering Library allows the library to reach out directly to residents. With it, the library attended the Fourth of July parade, Waukee Arts Festival, the Park Play events, storytimes, and even Warrior Lanes Bowling Alley. “We’ve had a great time meeting new residents and showing off the library bike to many inquisitive children,” said library director Larson. This fall, the library will introduce even more new ways to get involved. For example, the first Roll & Read event will take place Saturday, September 16, from 9 to 11 a.m. For this event, parents with children under the age of five are invited to bring their wagons, skates and strollers to Fox Creek Park. There will be a special walk around the park trail, followed by the opportunity to register kids for the library’s “1,000 Books Before Kindergarten” program. Special guests will be reading stories, and community businesses will be handing out information and prizes at the finish line. Other exciting things happening this fall include a refresh to the children’s section, with all new paint, carpeting and activities, and a partnership with the Waukee School District. 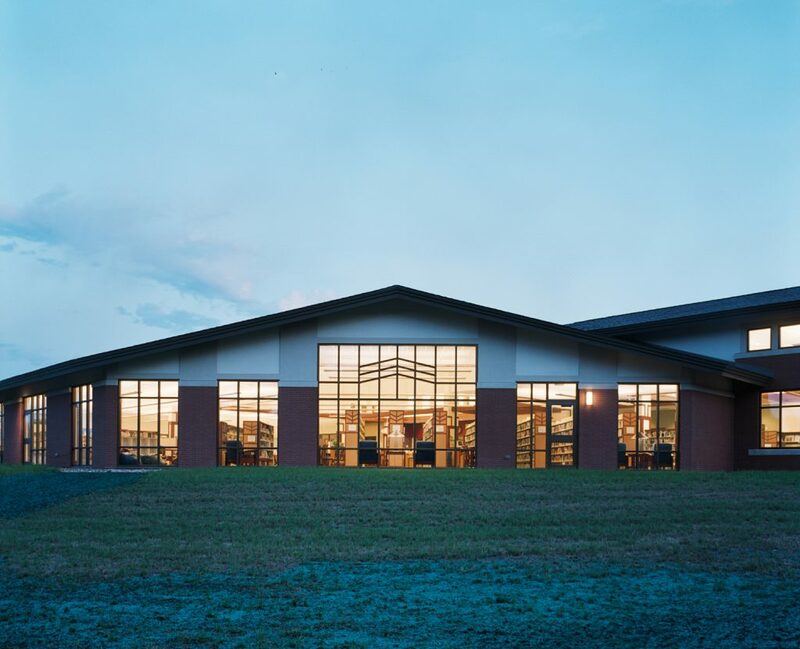 The library will share updates on these projects as more information becomes available. Check out the Waukee Public library Facebook page to stay aware of updates, including the Wandering Library bike and other programs! 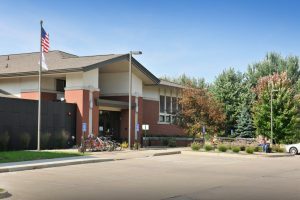 To find out more about the Waukee Public Library, visit waukeepubliclibrary.org or contact the library at askme@waukee.org or (515) 978-7944. The Waukee Public Library is proud to offer a variety of programs and classes for all ages this fall! Have you attended one of our year-long Local History Series programs yet? In partnership with the Waukee Area Historical Society, the Waukee Public Library is offering unique history presentations on a variety of topics. Sunday, Sept. 10; 1 p.m. This class covers organizing your information, how to research, and where to go for genealogy information. Attendees are encouraged to bring birth and death dates, and locations of their ancestors so we can try to locate more information about them. Sunday, Oct. 1; 1 p.m.
Relive the biggest shoot-out in Dallas County history. In July of 1933, Bonnie and Clyde, with the notorious Barrow Gang, were found at the old Dexfield Amusement Park outside Dexter. With some gang members captured and another mortally wounded, this is the fascinating story of the Iowa connection to this famous duo. Sunday, Oct. 8; 1 p.m. The popcorn industry has a history in Dallas County, including that of a wholesale popcorn business in Waukee. In the 1930s, the Superior Popcorn Company was established. In 1941, a popcorn plant was built in Waukee, and the wholesale popcorn business was developed. Thursday, Sept. 14; 6-6:45 p.m.
K-3rd graders are invited to join Iowa State Extension Outreach staff to learn about kitchen safety, food groups and to make and taste a recipe. Registration is required at waukeelibrary.eventbrite.com. Thursday, Sept. 14; 10 a.m.
Join us the second Thursday of every month to watch a movie on the library’s big screen. We’ll be showing everything from major blockbusters to classics. All movies are free and popcorn and lemonade will be available. No registration is required. Saturday, Sept. 16; 9-11 a.m.
Bring your wagons, skates, and strollers to Fox Creek Park for Roll & Read. Parents and children ages 0-5 years are invited to participate in a special walk around the park trail, followed by the opportunity to register kiddos for the library’s 1,000 Books Before Kindergarten program. Special guests will be reading stories at certain stops along the trail, and community businesses serving families with young children will hand out information and small prizes at the finish line. Participants are welcome to park in the lot at Grant Ragan Elementary School. *In case of stormy weather, special storytimes will be held at the library instead, beginning at 9:15 and 10:15 am. Tuesday, Sept. 26; 6:30 p.m.
What comes to mind when you think of Iowa food? During her fun, interactive program, Iowa author Darcy Dougherty Maulsby serves up fascinating tidbits and cooking tips related to more than 150 years of Iowa cuisine and ethnic food traditions. She will share stories that include Pella’s famous Dutch letters, Iowa’s classic breaded pork tenderloins, church dinners, the historic Younkers Tea Room, Laura Ingalls Wilder and more. Signed copies of Darcy’s book “A Culinary History of Iowa and Dallas County” will be available. No registration required. Be amazed as we explore how the brain interprets all the sensations we experience on a daily basis, including sight, touch and hearing. Through a series of fun demonstrations and optical illusions, learn about blind spots, afterimages, color vision, and proprioception (the sense of body perception and movement). Registration is required at waukeelibrary.eventbrite.com. Saturday, Oct. 7; 10 a.m. & 1:30 p.m.
Get ready for a creative hour of crafting! Spend an hour letting your creative juices flow and make cute fall crafts. Recommended for students in grades K-5. Parents of younger students are encouraged to remain in the program to assist as needed. Registration is required and will open three weeks before the event at waukeelibrary.eventbrite.com. 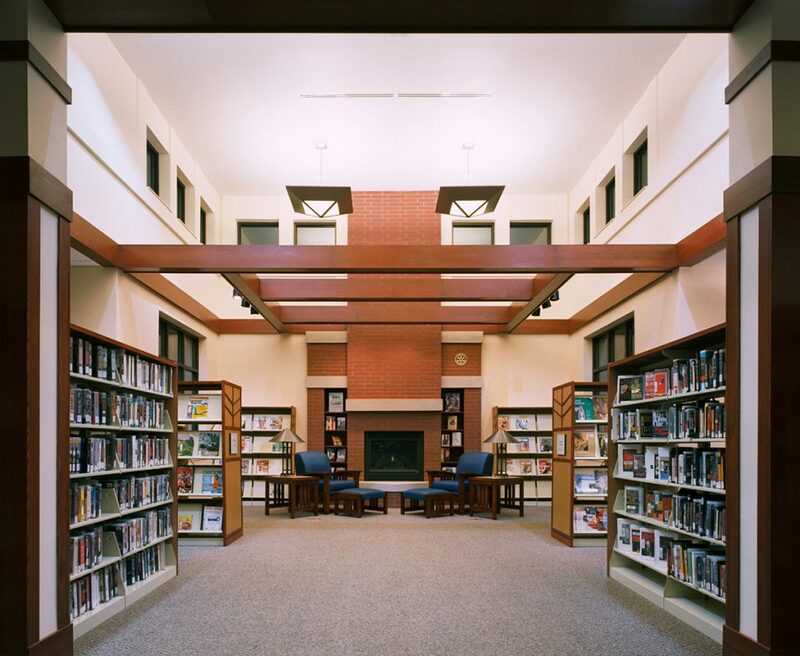 Thursday, Oct. 12; 10 a.m.
Friday, Oct. 20; 6-7:30 p.m.
Saturday, Oct. 21; 8:30 a.m. – 3 p.m.
Are you ready for the the Waukee Public Library Friends Foundation Fall Semi-Annual Book Sale? Become a Friends Foundation member to shop the Members Only Sale on Friday and get first dibs. Not a member? You can join before you shop. There will be great deals on used books, magazines, movies and more! Tuesday, Oct. 24; 6 p.m.
Members of the Iowa Brewers Union will share tips and tricks for making your own beer at home. They’ll discuss the basic brewing process and share an equipment checklist you will need to get started. Attendees can taste small samples and will be entered into a drawing for a Beer Crazy gift card and home brewing books. No registration is required. Tuesday, Oct. 31; 6 p.m. Families are invited to wear their costumes to the library for a special Halloween storytime and craft. Don’t worry, the books won’t be too spooky! Registration is required and will open three weeks before the event at waukeelibrary.eventbrite.com.